selection. His short fiction has won a number of awards and citations, including two Seaton Prizes, a Pen Faulkner/NEA prize, and Best American Short story and Pushcart citations. His fiction has been published by Tri-Quarterly, Black Warrior Review, Kansas Quarterly, North Dakota Quarterly, Summerset Review, and New Letters among other belles-lettres magazines. He is the author of two novellas, In My Stead, and The Four Wheel Drive Quartet, as well as three collections of short fiction: Speaking French in Kansas, Where I Am Now, and The Billion Dollar Dream. His nonfiction has been published in the Washington Post Magazine, Smithsonian Magazine, Forbes FYI, Modern Maturity, World Literature Today, American Scholar, and Numero Cinq. As a member of the Prairie Writers Circle, his essays have been reprinted in numerous newspapers and journals nationwide, and on such internet sites as Counterpunch, and Arts and Letters Daily. 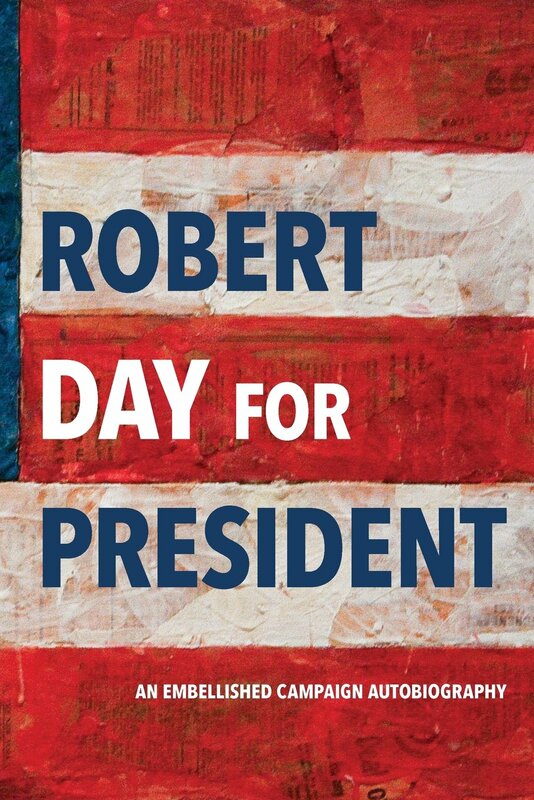 Recent book publications include We Should Have Come By Water (poems), The Committee to Save the World (literary non-fiction), and Chance Encounters of a Literary Kind (memoir), Let Us Imagine Lost Love (a novel,) and Robert Day for President: an Embellished Campaign Autobiography. Among his awards and fellowships are a National Endowment to the Arts Creative Writing Fellowship, Yaddo and McDowell Fellowships, a Maryland Arts Council Award, and the Edgar Wolfe Award for distinguished fiction. His teaching positions include The Iowa Writers Workshop; The University of Kansas; and the Graduate Faculty at Montaigne College, The University of Bordeaux. 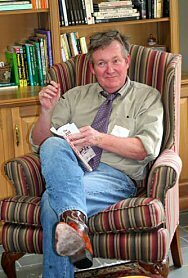 He is past Acting President of the Associated Writing Programs; the founder and former Director of the Rose O’Neill Literary House; and founder and Publisher of the Literary House Press at Washington College, Chestertown, Maryland. Born in Shawnee in eastern Kansas, a suburb of Kansas City, in 1941, Day grew up there before it was all one big suburb. He finished his B.A. and M.A. degrees (the M.A. in 1965) at the University of Kansas, Lawrence, then went on to teach at Fort Hays University, Hays, Kansas. He took a Master of Fine Arts degree at the University of Arkansas and began working in the English Department at Washington College, where he was currently writer in residence. 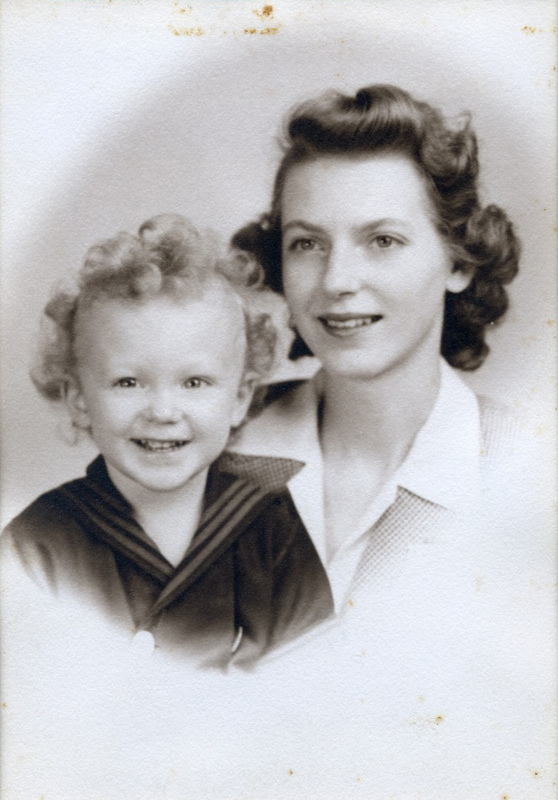 He returns to Kansas for the summers, living in Ludell, a small town in Rawlins County. Kansas remains the setting of much of his fiction. Day was attending the University of Kansas, Lawrence, when he wrote The Last Cattle Drive. It can be described as a hilarous and gritty ride through through the heart of Kansas, and continues to be a novel worth discovering 30 years after its original publication. Day is the cowboy on the right and O. Newton King is to his left. These photographs were taken as they attempted to herd some reluctant cattle to Paradise, Kansas. Q: What inspired you to write The Last Cattle Drive? Q: How did your writing career start? A: Well, I was a youngster here at the University, and I took a course called “Narration and Description” from Professor Olmstead. I didn’t even know what narration and description meant. I knew what narration meant, and I knew what description meant. I was in the class, and I learned a bit, but my real breakthrough came when I wrote a short story. One of my professors, Professor Ed Ruhe, who later became my mentor, asked me if I’d like to get it published. I couldn’t think of why anything I could write would be worth publishing. We just turned them in for classes so I was sort of startled by this and of course flattered. So we sent it to a small contest at a magazine that was starting up in Kansas City. I sent it there; he showed me how to do it. The magazine came out and my story was not published, but my name was in it! It said somewhere in the introduction, “We are sorry that we couldn’t publish a number of other stories especially stories by so-and-so and so-and-so and Robert Day!” I thought, g--, there's my name in print! It was exciting! It seemed sort of amazing to me. I didn’t realize I had any particular talent, but somebody out there was saying I did: a professor. So then I started writing stories; some of them have been lost. I took Professor Wolfe’s creative writing workshop when he was here. And once again, it was a moment when I was startled becausehe gave me a compliment. We used to play handball together. We were sitting in the locker room one day and I had written a short story called the “War Eagle River Story,” now completely lost. I have no idea where it is. I was nineteen years old or twenty years old something like that. I was sitting next to professor Wolfe in the locker room, and I turned to him and I said, “Did you get my short story?" I had turned it in for class. And He said, “Yes,” and I said, “I hoped you liked it.” I was shy and still looking for some praise. He turned to me and said, “I think it’s a classic.” I just about fell off my chair. I thought, my God this is amazing. This was a man who had read a lot, and he had. In those days you turned in stories to him when you were finished, but he would select stories, only the best ones, to read. There would be 15 of us in the class, and you would sit there hoping that you would be chosen. And so the next class he handed me my story and I read it to the class. So that was another moment, and I think that helped me to be a better teacher. The best thing that you can do for students who want to be writers is to give them opportunities. Give them chances to read their work in front of audiences. Colleges and universities should offer a plethora of opportunities for them to publish, have a small magazine for them to publish in, and present them with opportunities. The better ones-- we can't all be writers, then we’d have 3oo million writers in the county--will find their names in print, and their stories in print, and they will go on. It’s not rocket science. So that’s how I began--at the University of Kansas. People provided me with opportunities. They encouraged me, in fact. It was smaller then. We went to the homes of our professors. They invited us for dinner. They talked about and they read our work. So you could go home with Gerhard Zuther. He invited me to come home; his wife was making potato pancakes. They were frugal people. They were poor. The pay for professors wasn’t a lot, but he read my short stories in some campus magazine. He talked to me about them. He took me seriously. So that was my beginning. Q: You helped found the Cottonwood Review, is that correct? A: Yes, I was the founder of the Cottonwood Review. I wrote an article about it for the alumni magazine. Actually, an English department person—once again one of those people who had a lot of energy and a lot of interest in students—discovered over in Strong Hall a fund: money, money...he discovered money! It was supposed to be used for a literary magazine and he came to me and said, "You’re sort of our writer here—our young student writer. Would you like to have this money and publish a magazine?" Well, I said, “Yes.” But I had no idea what I was saying yes to. So I rounded up a bunch of writers and we got into a class and tried to figure out how to do this. We made this editorial chart, as big as an editorial chart for Time magazine, for God’s sake. But in the end we thought to ourselves, we’ve got the money, we can figure out how to do this and in the end we did. We started publishing the Cottonwood Review. Q: Is it still in print? A: I think it is. I have no idea exactly how it is funded. I see that it still exists, I think that it comes out periodically. Tthere’s an office down here that says Cottonwood Review, but I haven’t had anything to do with if for 30 years. But I started it. I might have even been an undergraduate, but I had lots of help. People were really enthused and I don’t know if I ever published in it until later in my life. I think they wrote and asked me for something, and I gave them something. Q: You mentioned that you were inspired by another book? Was writing The Last Cattle Drive part of a class? A: I had been searching I think for a frame or some kind of structure that I could use to write something longer. I am by nature a writer of short stories and novellas. Novellas are especially difficult for publication. I thought,certainly I can figure out how to write a novel. I just needed a frame of some kind to do it. Some writers – I’m one of them – look to other writers not for inspiration, but for literary techniques that they can borrow. I think it was Eliot who said minor poets are influenced, major poets are thieves. So if you look at this book from the point of view of how it was built, not what it means, but how it is built, then i'ts built like Huckleberry Finn. Tthere’s a preface, a period of time when they are not moving, that sort of sets the scene and introduces the characters. Then there’s a period when they move--in this case instead of moving down a river they move across Kansas. Screenplay writers call this a road show. And it's one of the basic techniques of fiction, to get your characters moving because once they get to moving they stop and have episodes and things happen. So I stole it from Mark Twain, a very fine person to steal things from. I’m very pleased that I’ve stolen from him. I also was aware of a book called The Log of a Cowboy by Andy Adams. When I started writing it The Last Cattle Drive, I was reading that as well. And then I was influenced by my education here at the university. One of my professors was an 18th century scholar, so I read a lot of 18th century literature. I knew how they built books as well. That’s how it happened. Now, how to fill in the frame. Once I had the frame, I simply took a car one day and a map. The map is in my file somewhere, and I drove the route. I made notes on the map about this and then went back. And I think I might have had some pieces of paper, index cards, and so forth. I went back to where I was writing the book whichwas in western Kansas. I drove all the way to Kansas City. I think it took me about two days to do it. I just made notations of a route and that map exists somewhere, and I got back and just started typing. That’s the inspiration from literature. That’s not inspiration. That’s what I’ve gotten from literary technique. Now as to what part of the book is “real.” It is true that I worked for a small ranch in western Kansas, and we did drive cattle. So I knew how to do it. The character Leo is not me in this sense. I knew more about how to do things than Leo does. Leo is the narrator and he’s very innocent. 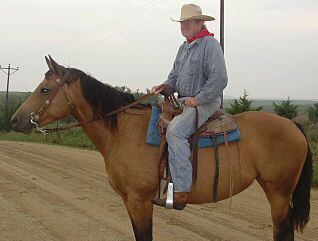 He comes from eastern Kansas as I did, but by the time I wrote the book, I knew. I myself had a horse and I knew how to ride. I worked on a farm here in Lawrence as a matter of fact, so I knew how to do these things. But it seemed to me that I had to create a character who was largely innocent of these things so I eliminated some of the knowledge I had. And he has all these questions. I wanted to write in the first person; I like the first person narrative style. So that’s basically how it happened. Q: As far as anniversaries go, most people look back on time. Do you want to say something about how you are feeling right now since this is such is an important moment, given the fact that The Last Cattle Drive has lasted for so many years? A: Well, I’m surprised that it has lasted so long. In a lot of ways I don’t have a literary career. I mean, I’m a writer but I do other things in my life, and I’m a teacher. So it never dawned on me when I wrote it and I published it that one of its qualities would be how long it would stay in print. Because I don’t live in New York and I don’t know about all these things that people do. Now I do, of course, but then I didn’t know. I thought, "My golly, someone wants to publish this book and sell it and I’d make a little money and I don’t have to teach that semester." I’d buy myself a better bottle of wine and so forth and so forth. So for awhile I kept thinking to myself, you know, that maybe I should write another one—another book. But I wasn’t called upon to do that. I didn’t mind that so much, but other people kept saying, “Why don’t you write another book?” I’d say, “Well I don’t know, it’s a mystery to me.” It didn’t bother me. I wasn’t upset about it. I’d write stories and for awhile I worked for the Washington Post. Writing big feature pieces for the Washington Post magazine I won a lot of awards for my stories. I like my stories. I like them as much as I like this book. 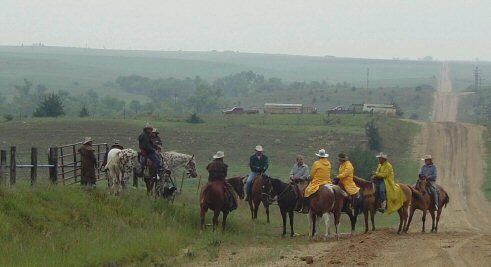 I think my stories are probably even better written than The Last Cattle Drive. But you asked me about looking back on it I can say it’s great fun to have this friend of mine, this book. It’s 30 years old and so I think, well, it's sort of celebrating a birthday. I think, "G--, there’s my book. It's 30 years old." Q: You already did a partial cattle drive going from point A to point B before the actual re-enactment of The Last Cattle Drive, is that correct? A: Well, actually I wouldn’t say that I did it. Newton King is this Lawrence pharmacist who’s got this idea that he wants to have this cattle drive. I can’t tell you how wonderful I think it is. It ’s a little nuts. But yes, we did. He rounded up some people, me included. And we got some horses together and we got some cattle together. Our idea was to see what would happen if we drove a half-a-dozen, maybe a dozen, of the straggliest looking critters I’d ever seen: misshaped horns, you know; an old bull with one testicle; nasty looking bunch of critters. Our idea was we were going to drive them six miles into Paradise, Kansas. We couldn’t do it because somebody forgot that there was no fence along a milo field. So all the cattle ran into the milo field. So, at the end of the drive, there was a whole bunch of people in Paradise, Kansas, waiting for this cattle drive to come in. The cowboys came in, but no cattle. Everybody was running around the pasture looking for the cattle. So it was a spectacular failure; it was wonderful! And I fell off my horse, so that helped as part of the story. I do think that Mr. King is going to get the whole thing together in time for next summer when the “real” drive takes place. But I think it will also be a fiasco. The Last Cattle Drive itself was a was a fiasco in places. Q: After 30 years, what do you think is behind the enduring success of The Last Cattle Drive? A: It is a story that is a clash of cultures. Of youth and age. Of the old half- dead West and the new very-dead suburbs. Most people cheer Huck Finn when he says he wants to head out to the territories and doesn't want to be civilized by Aunt Polly or Sally, because he has been there before. But most people would rather read about it than do it. The Last Cattle Drive is reading about it. Also it is a profane book that lacks charm. Both are enduring, if not endearing. King played on the same redshirt football team as Day in the fall of 1960. Above is a photograph of some more of the action that occured during the "trial run" of the main event, scheduled for August 2007. This book provides an honest and direct look at some of the characters who are represented in the folklore and history of Kansas. It also includes the short stories "In My Stead" and"The Four Wheel Drive Quartet". Above excerpts are from Speaking French in Kansas published in 2005 by the Washburn University Center for Kansas Studies. For copies, write c/o Thomas Fox Averill , Washburn University, MO 300, Topeka, KS 66621. Cottonwood Review, Fall 1980, No. 23, includes an interview with Day. Cottonwwod 40, dedicated to Edgar Wolfe, has an essay, "I Look Out For Ed Wolfe," Day's reflections about his former professor. Day appeared at the 2006 Kansas Book Festival in Wichita, sponsored by the Kansas Center for the Book. He spoke about two of his better know publications The Last Cattle Drive and Speaking French in Kansas.